Tabcorp"s media division has unveiled a vibrant new master brand for its television and radio businesses. As part of the brand repositioning, Sky Racing is the new brand for its television network while NSW"s popular racing and sports radio station, formerly known as 2KY, will be known as Sky Sports Radio. The brand repositioning heralds some exciting future developments for Sky Sports Radio and Sky Racing. It aligns the radio station with Tabcorp"s television network and provides for the launch of digital radio and new channels including mobile TV. "Sky Sports Radio and Sky Racing are entering an exciting era and the new brand is the forerunner to further changes in the rapidly evolving world of media technology," said Sky Racing Chief Operating Officer Brendan Parnell. While racing will be the backbone of Sky Sports Radio, its niche sporting programs will continue to be popular among listeners. The flagship of these programs is Big Sports Breakfast hosted by Terry Kennedy and Michael Slater. The program is NSW"s only all-sports breakfast show. In addition to its Sydney footprint, Sky Sports Radio has more than 140 narrowcast transmitters around NSW ensuring a total statewide coverage. 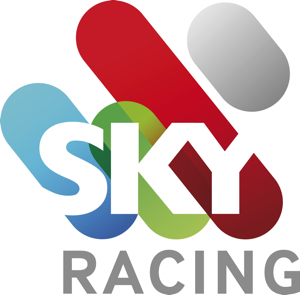 The new Sky Racing brand will be seen on the television network from Tuesday 2 June as well as www.skyracing.com.au and the Sky Racing mobile TV service. Sky Racing is a leader in the delivery of racing, providing seamless coverage of up to 17 hours of live thoroughbred, harness and greyhound racing each day. This is in addition to in-depth form analysis, review, magazine and general sports programming. Sky Racing is seen in pubs, clubs, Australian homes (though Foxtel, Optus and Austar) and a growing international audience. Sky Racing is the most viewed channel on the PayTV platform in terms of duration watched.